The TJC Apache Belles have been entertaining audiences from the football field to the performance stage since 1947 with their precision dance and head-turning production numbers. For over sixty years, the trademark precision dance, cutting-edge routines and, of course, the famous Apache Belle “high kick” have thrilled fans across the globe. The Apache Belles bring eye-popping color, pyrotechnics and precision dance to venues while charming audiences with their Texas-sized smiles as they kick, split and dance their way into your heart. They have been hailed as “the prettiest drill team in the world” by Family Weekly magazine and have performed across the state, cost-to-coast and around the world. The Apache Belles have graced the halftime field for two Super Bowls, numerous Dallas Cowboys games, Houston Oilers, San Antonio Spurs, Dallas Mavericks, and Texas Rangers games. This precision team has traveled all around the world to Mexico, France, Ireland, China, Austria and Germany to perform at parades, celebrations and balls for dignitaries, special guests and, of course, for the military men and women of the great United States of America. The Apache Belles have been the subject of numerous media publications appearing in Southern Living, Woman’s Day, Texas Outlook, Texas Parade, Dance and Drill Magazine, Venture Magazine, and many more. They have met and entertained such celebrities and dignitaries as Former President Ronald Reagan, Former President George and Barbara Bush, Former President Bill and Hillary Clinton and Governors Ann Richards and George W. Bush. The Belles are the perfect hostesses for any event. 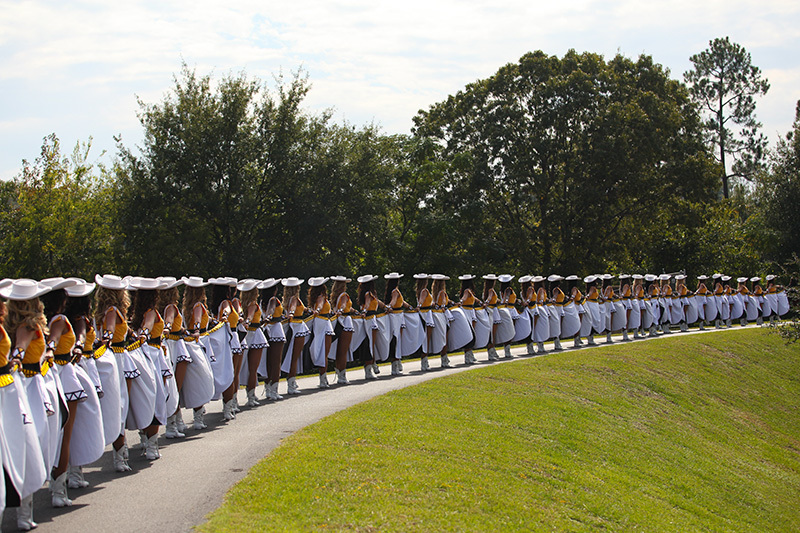 The Apache Belles have a shared and historic legacy with the Apache Band. 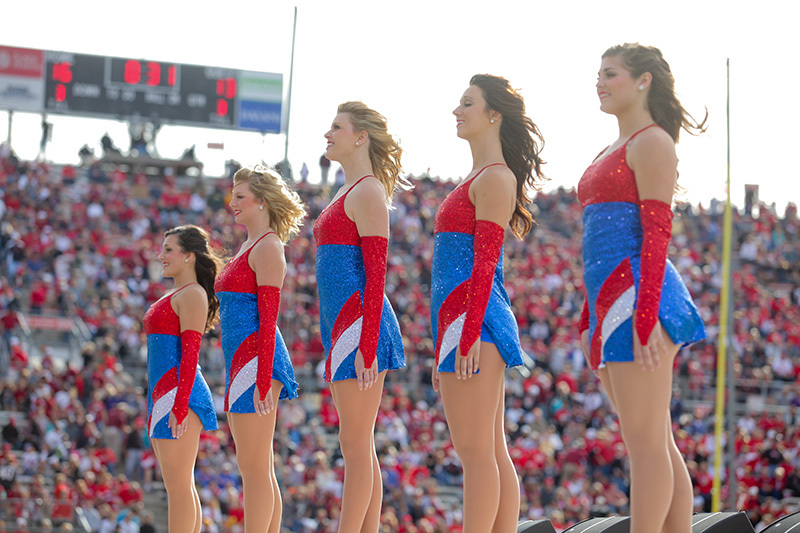 Both founded in 1947 to perform during football games, the Belles and Band have traveled the world together, entertaining audiences at halftime shows and on military bases.